Passmores Solicitors on Tynewydd Road in Barry has been recognised by Cancer Research UK after facilitating over £1million worth of gifts from people choosing to leave a legacy to the charity in their will. 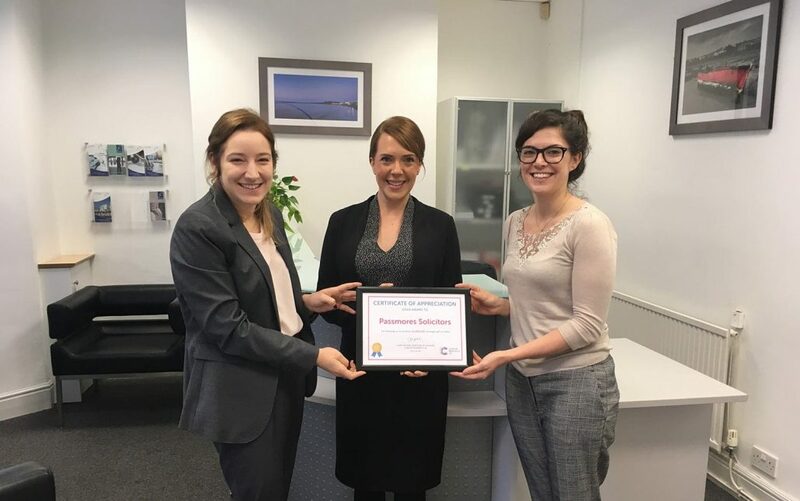 Carli Evans and Francesca Smith of Passmores Solicitors were presented with a gold certificate to acknowledge the firms ongoing support. The firm have been offering the Free Will Service to people aged 55 and over in Barry for over 20 years, giving guidence and support for those wishing to write a will or update an existing one. As part of the service, Passmores Solicitors give guidance for those wishing to leave a legacy gift for Cancer Research UK. 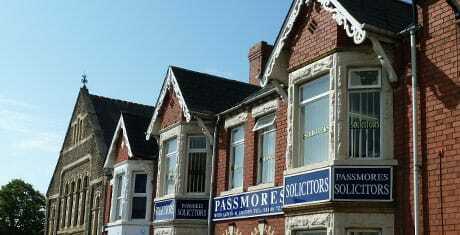 “At Cancer Research UK, we work with a number of local solicitors including Passmores in Barry to offer local people aged 55 or over the chance to make an all-important first will or to update an existing one. The service has grown in popularity over the past couple of years and while it is provided free of any obligation, the vast majority of people choose to kindly leave a gift to the charity. “By offering Cancer Research UK’s Free Will Service, Passmores have become well informed about our work and are very supportive of our life-saving research. Whenever their clients express a desire to support us, Passmores staff act with great sensitivity as they explain the various options and allow individuals or families to make the right choice in their own good time.